This year, we're celebrating National Poetry Month by featuring all different kinds of poets. We couldn't help but include the Bard himself, William Shakespeare! Shakespeare was born in Stratford-upon-Avon in 1564. There are few records from this time, and little is known about Shakespeare's life before he signed on with a theatrical group that became first the Lord Chamberlain's Men, and later the King's Men. To make a living, he worked as an actor as well as a writer, but when fear of plague closed London's theatres, he turned instead to poetry. His first published poem, Venus and Adonis, was dedicated to Henry Wriothesley, third Earl of Southampton, which was how poets at the time gained the attention of potential wealthy patrons. In the case of the Earl of Southampton, it worked, and under his patronage Shakespeare wrote several more lengthy poems, including Lucrece. Shakespeare adopted courtly styles of language which caught the attention of aristocracy, but his somewhat more lowbrow depictions meant his work cut a wide swathe through the reading public of Elizabethan London. Between 1593 and 1601, in addition to his other writing, Shakespeare was also composing sonnet after sonnet, 154 in total. These weren't published until 1609, when they were released as The Sonnets of Shakespeare. Since there are relatively few personal documents from Shakespeare's life, readers have for years combed through these poems for autobiographical clues, but since there's evidence that Shakespeare was only tangentially involved in their publication, these "clues" may be nothing more than speculation. It seems almost impossible that such a well-known monolith of literature as Shakespeare could be so shrouded in mystery, but there's some debate over whether he even existed! 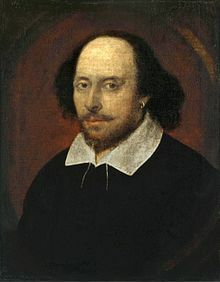 Some scholars suggest that "William Shakespeare" is the pen name of one or several other writers who were actually responsible for his poetry and plays. Regardless of the truth behind the writing, however, Shakespeare remains arguably the best known poet and playwright of all time.